For the majority of Australian home and business owners, outdoor shading is an absolute must and with so many companies, all offering an extensive range of umbrellas and awnings, it can seem quite a daunting task to select the right shading system. There is much to consider and whatever system you choose, it should be durable, long lasting and easy to operate. If you are looking for a permanent shading system that ticks all the boxes, here is a brief overview of the various shading systems available today. Retractable Roofing Systems – If you are looking for a stylish shading solution that will stand the test of time, look no further than a retractable roofing system. Of all the outdoor awnings that are available, a retractable roofing system is fabricated to fit the area and with motorised solution, wind and sun sensors, you can enjoy the ultimate shading on your terrace. Folding Arm Awnings – Similar to a retractable roof, the folding arm awning is the ideal way to provide shading on demand and with the ability to finely adjust the unit, you will always have the right amount of shading whatever the time of day. With a possible span of 18 metres and a projection of 5 metres, these made to measure awnings are the ideal addition to any terrace or patio. Rich colours and patterns ensure the awning matches the surrounds and if the awning is in a business setting, you can have your company logo and colours incorporated into the design. 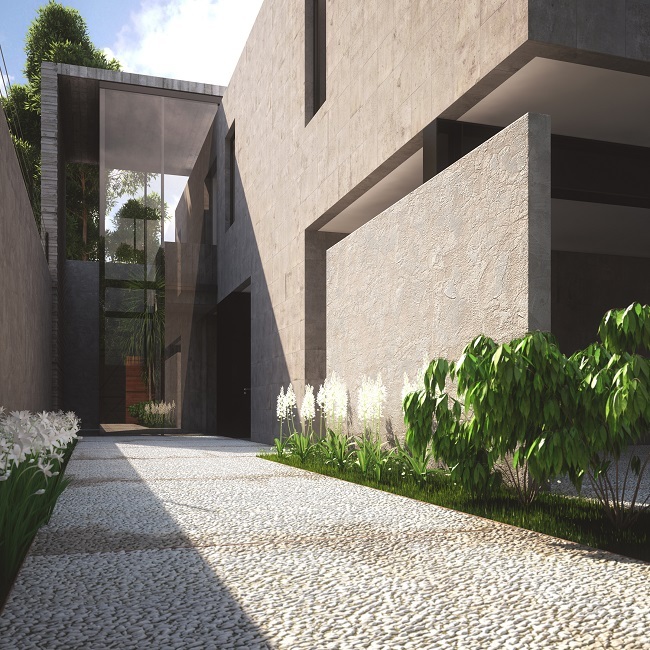 Canopies – Ideal for entrances and walkways, a bespoke canopy will not only give you shading, it will also enhance the property. 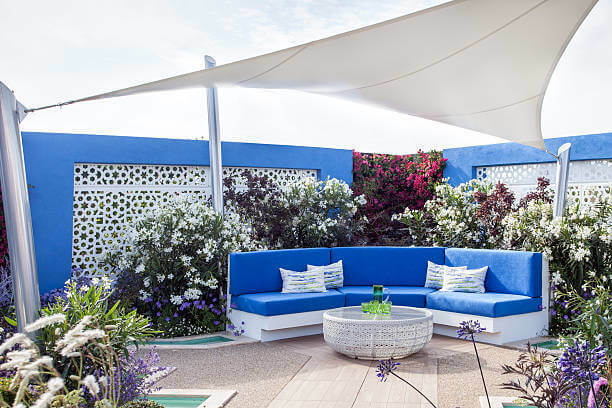 French canopies, Dutch hoods and elliptical designs are all tasteful ways to shade specific areas and with made to measure solutions, any area can be elegantly shaded. Most suppliers will include business signage, should you require it and with a wide range of vibrant colours, there’s no end to what can be achieved. Clear PVC Blinds – There are occasions when we simply want a windbreaker, rather than shading and clear PVC blinds are the ideal choice. All units are tailored to fit the setting and if you run an al fresco restaurant, clear PVC blinds are an attractive addition as they provide instant protection against wind and rain. Al Fresco Blinds – Suitable for both domestic and commercial settings, these made to measure units provide instant shading when required. With a choice of solid colours or stripes, you can create the perfect al fresco dining ambience with blinds that are easy to operate and their rugged construction makes for a permanent solution. 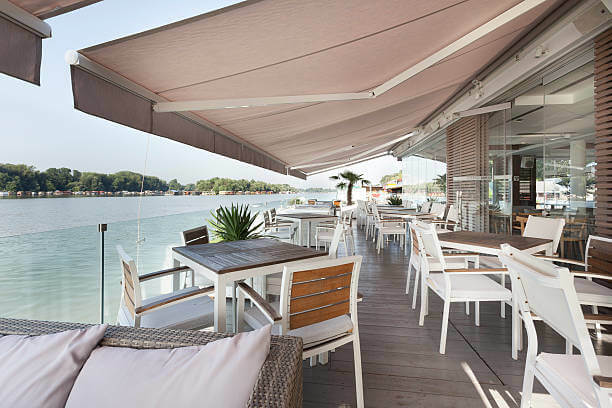 Portable Umbrellas – These are perfect when you want stylish and elegant shading, with a range of designs that include cantilevered operation, which gives you a wide span of shading, while having the stability. Whatever shading solution you choose, makes sure you deal with an established supplier who would also install the units. 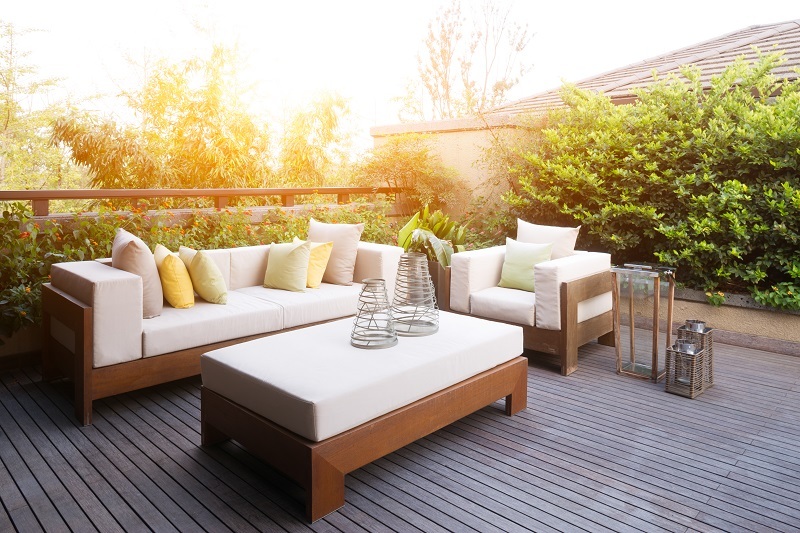 An online search will help you to locate a local company that specialises in outdoor shading and with their help, your garden terrace will always be comfortable.